"Oh, ooh-bee-doo, I wanna be like you." That's what most films were saying about the box office numbers brought in by "The Jungle Book" this weekend. Disney (DIS)'s reboot of its 1967 animated classic won the weekend, roaring to an estimated $103.6 million in North America after opening Friday. That's an impressive number for an April opening, second only to the $147.1 million that "Furious 7" made during its opening weekend last year. The debut is surprising, considering that most analysts predicted that "The Jungle Book" opening would bring in closer to $75 million. "The Jungle Book" also brought in an impressive $240 million globally this weekend. The movie, from "Iron Man" director Jon Favreau, includes voice talent from stars like Bill Murray and Scarlett Johansson, and it received widespread acclaim from critics. It garnered an "A" CinemaScore with audiences and a 95% score on review site Rotten Tomatoes. 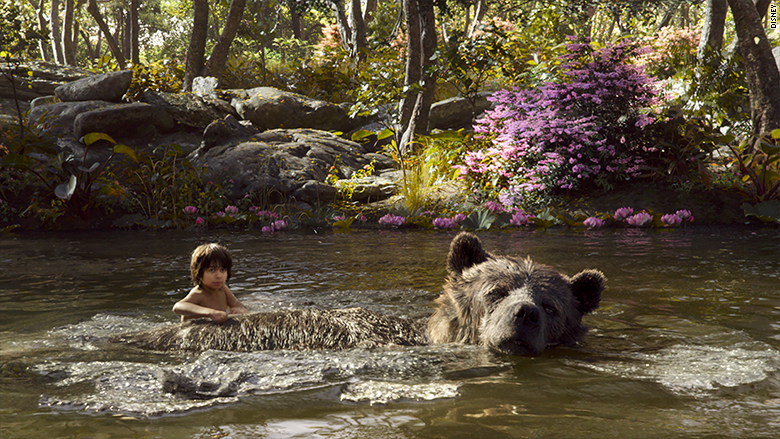 Disney's "The Jungle Book" had the bare necessities at the box office this weekend. 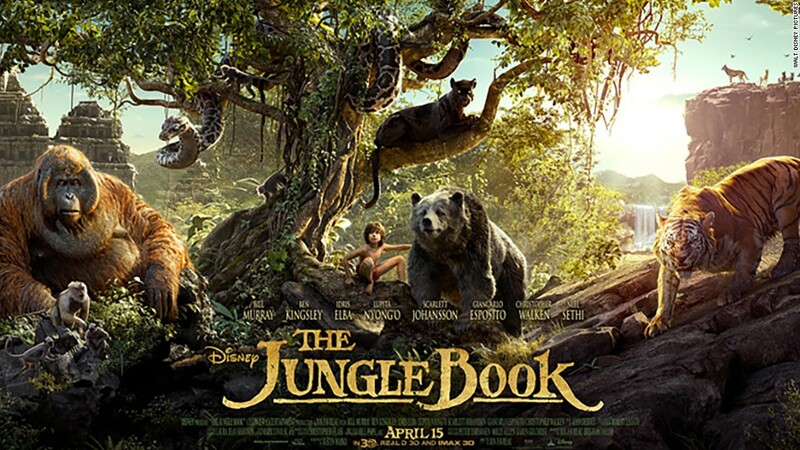 Most critics praised "The Jungle Book" for the film's visual effects as well as its loyalty to the source material. The film represents another big hit for Disney's series of live action revivals of animated classics. Other films in the series include 2010's "Alice In Wonderland," 2014's "Maleficent," and last year's "Cinderella." They've brought Disney more than $2.3 billion at the worldwide box office. The success of "The Jungle Book" sets up another potentially blockbuster year for the Mouse House at the movies. The studio has a strong 2016 film slate that includes "Finding Dory" -- a sequel to "Finding Nemo" -- which opens in June. "Star Wars" spinoff "Rogue One: A Star Wars Story" opens in December. Disney also kicks off the summer movie season with Marvel's "Captain America: Civil War," which opens on May 6.